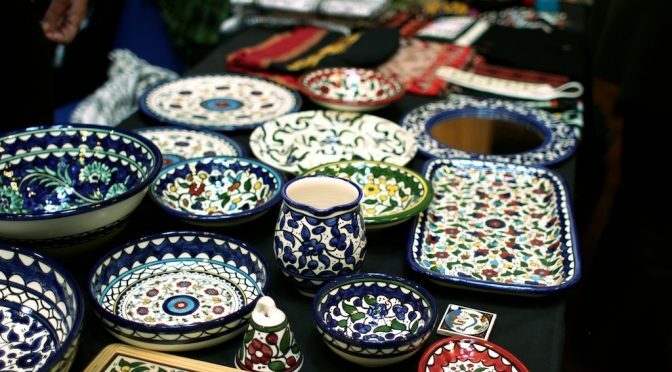 Manchester PSC sell a range of Palestinian goods including ceramics, the famous Zaytoun Olive Oil and soap, embroideries made by women’s cooperatives and dates from the Jordan Valley. 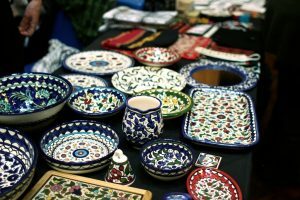 All the goods we sell on the stall are sourced in Palestine. 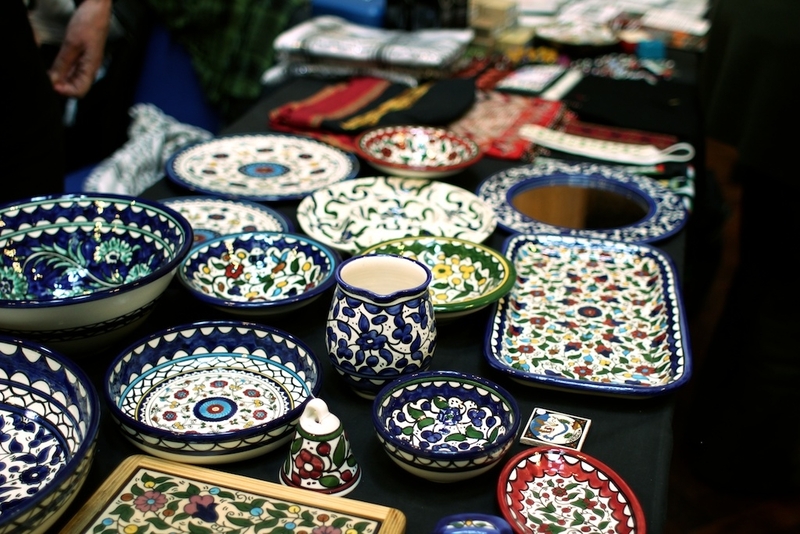 Our support helps Palestinian farmers and craftsmen and their families sustain their economy. The profit from sales is returned to Palestine by supporting projects in West Bank and Gaza, e.g. providing a fully equipped vehicle as a mobile eye clinic, assisting women political prisoners with legal aid and personal items, a school for the blind in Bethlehem, financial support for women’s scholarship funds and medical facilities for the Middle East Children’s Alliance in Gaza. As well having the stall at our public meeting we also have a stall at a range of events in the North West including Stockport Fair Trade Fair, Whalley Range for Peace & Justice Write for Rights.